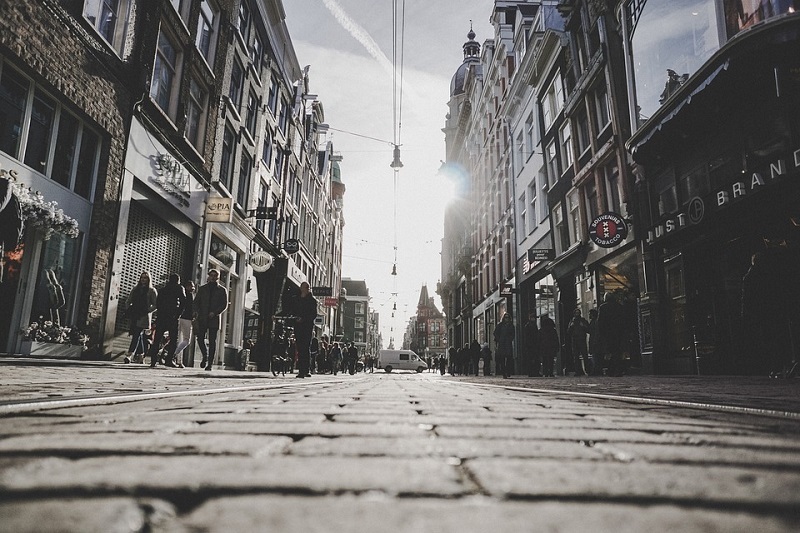 Choosing where to stay in Amsterdam is mostly driven by the need to be as close to the center as possible rather than by an assessment of what the city districts have to offer. Discovering districts near the city center could be a good way to find out where to sleep for less. As for any major European capital, hotels located in the center are significantly more expensive. Amsterdam is far from cheap, and it would make sense for any traveler to explore alternate parts of the city to rent a hotel or B&B at a more reasonable price. 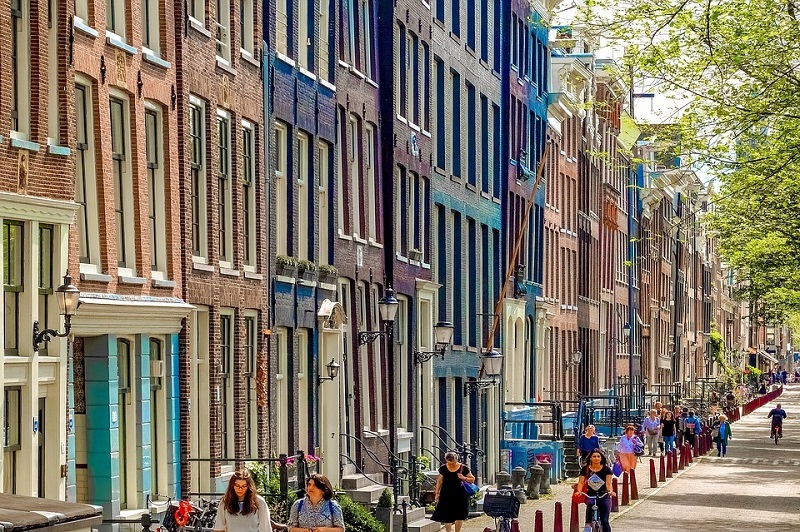 Here is a quick guide to Amsterdam’s districts, along with some suggestions that can help you make an informed decision on where to choose your hotel based on your budget. Amsterdam can be divided in five major areas, within which lie the most popular city districts: Noord, West, Zuid, Oost and Centrum. Knowing a little bit about these districts can be very helpful when you have to decide where to stay in Amsterdam. Let’s quickly examine what makes each one of these districts special and alluring to newcomers and visitors. The Noord district is extremely accessible because it occupies the area of the city right behind the Central Station. In addition to that it’s also reachable by ferry, one of the most common and nonstop transportation means in the city, with departures right from the main station. It is an industrial area, very popular with foreigners relocating to Amsterdam because it’s quiet and relatively close to the center. Apartment prices in this district are comparatively lower, probably because the idea of a long term ferry commute is not attractive to everyone. For the occasional traveler, on the other hand, this district is ideal as it offers an additional opportunity to explore the city from a different perspective by cruising along the river on an ordinary ferry. The only drawback, if you choose to rent a hotel in the Noord district, is that it covers a rather vast area. Therefore I suggest you look at the position of the hotel in the area map in order to avoid extra transportation expenses to get to the Central station. As we all know this is the most sought after part of town and the one with the greatest concentration of hotels and sleeping accommodations. I recommend starting your hotel hunt here, because of its quintessential location. Amsterdam-Centrum covers the area that extends from the Central station to the Red Light Quarter, and covers the Amsterdam Canal belt, which is also listed as a Unesco site. It is the true heart of the historical inner city, with its charming rows of historical narrow houses leading to the hustle and bustle of the most popular square in the city, Dam Square. It certainly doesn’t qualify as a quiet area. You can easily end up staying in a hotel with aged décor where the rooms are not soundproofed, even at a 3 or 4 star level, and cleanliness, or room size, are not as expected. Do your homework if you choose to invest your hard earned money in a hotel downtown, read and compare guest reviews and, as always trust your instincts when finalizing your choice. This is a very interesting district where to stay in Amsterdam. It covers the area of the city located west of the city center and it’s well connected via public transportation. The area is much more peaceful than the previous one, and that’s what you will pay for if you choose a hotel here. It’s an ideal choice for the selective, open budget traveler who is seeking a higher quality accommodation without sacrificing the vicinity to the center. The Zuid district is a very vibrant and trendy area of Amsterdam, where tourist presence is a little less visible and the locals, especially the young ones, have established their city domain. One of the most well known neighborhoods within this district is De Pijp. I will expand on this later in this post when I will talk about the best neighborhoods where to sleep in Amsterdam. Public transportation in Zuid is also very reliable. Oast is a multicultural and fairly inexpensive part of Amsterdam, easily reachable by public transport during the day but not as much after dark. If you are planning on partying until sunrise I would not recommend getting a hotel here unless you enjoy long distance walks. Now that we have glanced at the city’s districts, we need to take a look at some of the most attractive neighborhoods within them. Like I mentioned when talking about Zuid, this is considered Amsterdam’s party zone, a place filled with young locals who live and breathe the culture of their country away from the tourist mecca of the city. As for De Pijp, this neighborhood is the epitome of the most authentic urban Dutch lifestyle. 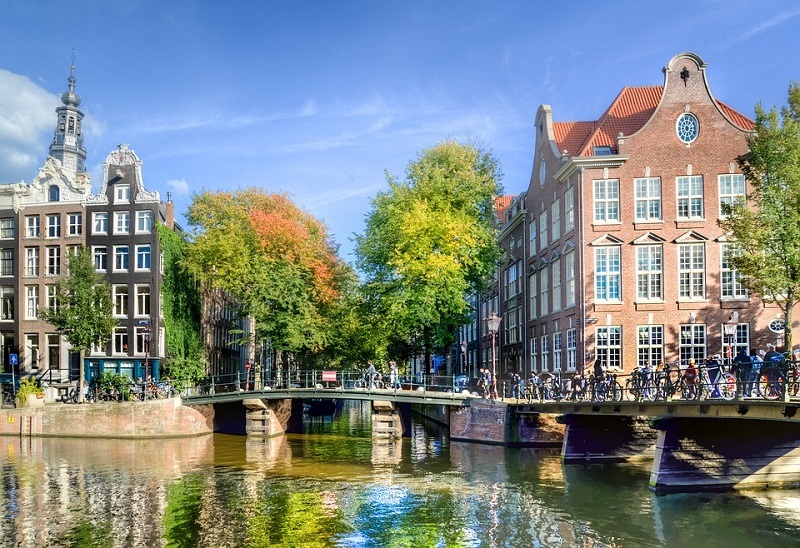 It’s situated in the Amsterdam-Centrum district, starting along the Browersgracht Canal and continuing to the western side of the Canal belt between Prinsengracht and Lijnbaasgracht, and ending on the Leidegracht. The northern part of the Jordan is called Rozengracht. Formerly a canal, now filled in, it constitutes the main traffic artery of this borough, and it has become one of the most upscale and expensive locations in the city. The southern part is less crowded but equally picturesque and worth seeing. In this neighborhood you can visit the House of Anne Frank, and the Tulip Museum. You can also venture to the center on foot, a very scenic challenge. The Jordan is home to all types of young artists, who have opened eccentric boutiques, lined up endlessly along the narrow streets, or inside the main restored courtyards, called Hofjes. In between the art galleries, (worth mentioning is the Stedeliijk Museum Bureau Amsterdam on Rozenstraat) and shops, are also to be found countless cafes and patio restaurants where you can take a break to enjoy a pancake or a cappuccino. Most of the hotels in this neighborhood are concentrated along Marnixstraat and Rozengracht, but the prices here keep rising because of the high popularity of this area. While this neighborhood is enjoyable to visit on an ordinary weekday morning, with its beautiful canals, it turns into a mad house during the weekend, when limitless crowds of people fill the streets in search of fun and excitement, and the noise level rises disturbingly. The hotel prices are also very high, but if you plan on getting a good night of sleep, avoid staying here. • When reserving a room read the fine print. Pay attention to the “small room” definition. I guarantee you that, if it says small room, it’s probably as big as a double bed. • Parents traveling with children and travelers with limited mobility are strongly encouraged to inquire about the hotel building conditions before booking. Some hotels are situated inside old buildings without an elevator and with narrow and very steep stairs. • Read up on the city, bring your own guide and put together a relaxed schedule of what to see and where to go.